The Language Services Market is booming! 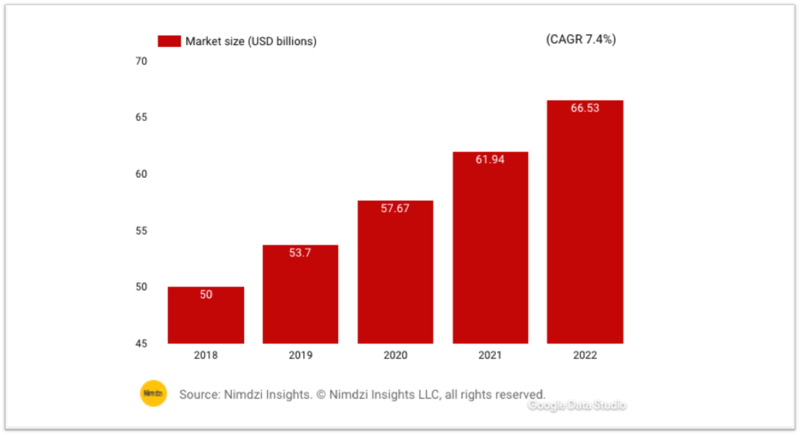 Leading global researcher Nimdzi Insights LLC has published a fascinating insight into the fast-growing Language Services Market. They defined the market broadly as ” translation, transcreation, localization, multilingual desktop publishing (DTP), language quality assurance, linguistic testing, multilingual copywriting, multilingual technical writing, language project management, interpreting, video remote interpreting, telephone interpreting, linguist verification and staffing, media localization, versioning, adaptation, subtitling, voice over, dubbing, machine translation, training machine translation engines, cultural consulting, and related services”. And employed an investigative approach and invested countless hours into intense research, data collection, and analysis in order to present data that have previously been unavailable. “The Nimdzi 100 indicates that the language services market exceeds previous estimates. The industry is extremely fragmented and incorporates multiple niche segments. These niches grow at different speeds. Some, like document translation, are fairly stable and grow at a slower rate. The best way to scale quickly in these segments is via acquisitions. Regulated segments such as life sciences and financial services continue to show strong growth. These continue to be safe bets for LSPs looking to grow organically. Other areas like media localization and gaming have recently boomed. Explosive growth in these exciting industries provides ample opportunities for ambitious LSPs that know how to scale. It is also clear that mergers and acquisitions will continue to play an influential role in our industry. M&A activity is showing no signs of slowing down, so we can all expect to see more consolidation on this front going into 2018 and beyond.